On Saturday, two like-minded collectives will lock arms for a musically next-level party at a low-key location. Darker Than Wax, one of Singapore’s most celebrated ambassadors of the cutting-edge and Ice Cream Sunday, purveyours of ice cream-fuelled, beat-heavy shindigs, guarantee a lush time at Open Door #2, a sundown soiree. This second iteration of the party series will feature sets by DTW honcho Funk Bast*rd, Daryl C, FZPZ and ICS mainstays Toppings and Bongomann. They’ll be on hand to invoke the more kinetic side of funk, soul, hip-hop, afrobeats and disco. The location of the party will be announced a day before the event on its Facebook page. 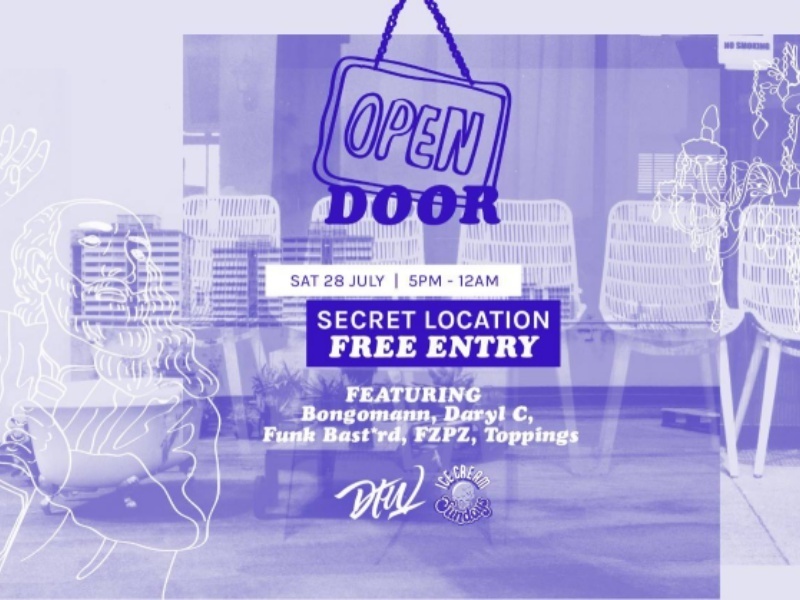 ICS x DTW: Open Door #2 will happen on Saturday, 28 July at a secret location from 5PM-12AM. Admission is free.